Sweden runs out of garbage.. only 1% ends up in landfill! 75% of waste electronics end up in landfill. In a lifetime 1 UK citizen will have thrown away 3.3 tonnes of waste electronics. 2 million TV sets are thrown away each year. More than 6 million electrical items are thrown away each year and it is estimated that half are still in working order or easily repairable. We use over 600 million batteries each year here in the UK. Roughly 21 per household. In 2007 only 3% of batteries were being recycled, the rest going to landfill. Fridge collection and recycling… the easy way! The Number 2 bus, is ready to roll! Amazing technological advances means that Bristol is the first city to run a bus service fuelled purely on human and household waste… read on! 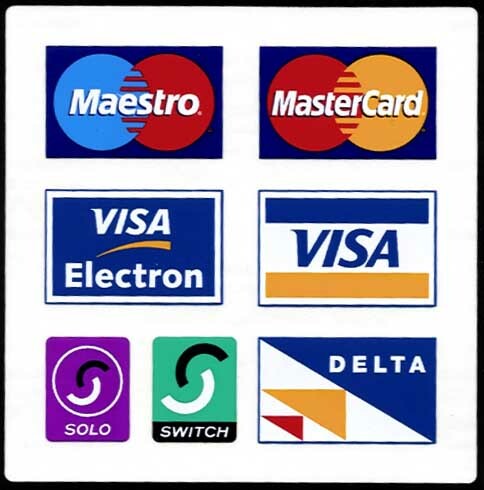 Junkaway is now accept all forms of payment, cash, cheques, BACS transfer as well as all major credit cards, on our website, over the phone, or directly on our mobile devices. The easy way to get rid of any junk, just got easier! We have recently moved into our new recycling yard, and are very proud to be able to offer greater levels of recycling to all of our clients. If you have unwanted items or rubbish that needs removed, don’t hesitate to contact us, we will offer a first rate service at your location. You can be sure that our team of recycling superheros will separate and recycle every last bit. In turn this diverts massive amounts of waste from landfill, and saves precious resources for our economy. We are now better prepared to tackle bigger jobs and we look forward to offering more competitive waste removal service. Omniprocessor…. Bill turns poop into potable water! Do you need your Christmas Tree removed fast? Christmas has come and gone and all the festive decorations are now coming down…. It appears that the council will not be removing domestic christmas trees until the 18th of january!!! We can remove your Xmas Tree in a safe and professional manner and insure it is recycled and composted properly. We offer a low cost, friendly and professional service.. Call us today on 08448700118 and get rid of the that tree! What is the cost of waste disposal? You may be busy, or the amount of rubbish to dispose wont fit in your vehicle….. the next most affordable way to get rid of your waste would be to call on a friend who has more room in their car…. you can get vans into the civic amenities but they will check to see if it’s commercial waste so it’s not always guaranteed, they may also ask for proof of residence in the city, as the Bristol civic amenities only caters for residence of the city. There is also a height restriction so taller vehicles may not gain access. 3) Licensed junk removal waste carriers like us! We are fully licensed and insured, we can provide you with a more competitive price than the options above, we do all the loading and because we are doing it by hand we can separate out all the waste streams before loading them on the van. There is always two people in the vehicle so big bulky items can be carried out carefully from your property without damaging your home, or yourself, we wear protective clothing such as gloves and steel toe cap and sole boots. We move the rubbish swiftly causing minimal disruption to your environment. we take from a single item to entire building and we only charge for what volume you take up in the van. When dealing with recyclable materials we can save you pounds on the cost of rubbish removal, for example we can take loads of scrap sometimes free depending on amount and value of metals, and card at more competitive prices, again with house clearance and furniture it can often be very bulky and potentially not too heavy so we can afford a better price saving money time and effort…… all in all we’ve been established for 8 years now and feel pretty confident that we can deliver a better service and price than the alternatives. Many thanks for taking the time to read this and we hope we can be of service to you. Hi, just wanted to feed back what a great job you've just done for me in Horfield. Really quick and efficient, tidy and courteous workers. Excellent value for money. Really impressed and will recommend you highly.